Sunday market: Northern Quarter Makers Market ft. handmade chocolate & more. 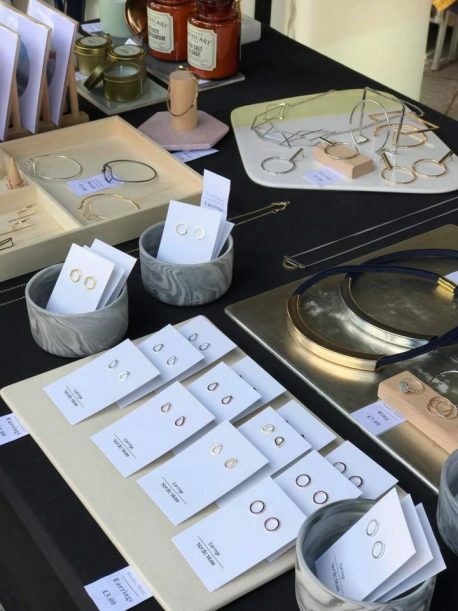 Makers Market is back with an Autumnal festival of traders to warm the cockles. Their world-class array of artisans includes old favourites like Kick Back Coffee, award winning chocolate treats from Dormouse, onion bhajis the size of a cannon ball from Hezzy and beautiful and bizarre designs such as the upcycled fire extinguisher lamps from Relic Engineering. A must have for the safety conscious illuminator in your life. Alongside these familiar faces, look out for a few newbies taking to the Northern Quarter market for the first time. We like the sound of Little Peacock selling handmade baby accessories, Veega giving you some of the best vegan fried chicken around and Oldham Street’s newest arrival, Fress Restaurant, setting up a cake stall. Tunes come courtesy of the NQ’s most famous vinyl junkie, Pasta Paul.